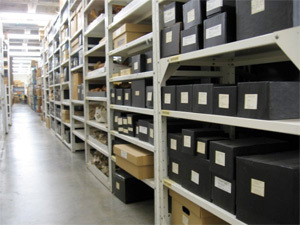 At the discretion of the curator, Environmental Archaeology Program (EAP) collections, images, and data may be loaned to museums, universities, and other appropriate public institutions for research and/or exhibition purposes. Loans are governed by the collections loan policies of the Florida Museum of Natural History. We do not loan rare or fragile specimens or any comparative specimens that are not duplicated in our collections (except for very short term loans for special purposes). Image and data loans may be subject to a fee depending on the intended use. Loaned specimens, data, and images may be used by the applicant only for the agreed upon use and no other parties shall use the specimen, data, or images without the explicit written permission of the Environmental Archaeology Program. Loans are not transferable. Loans are made for up to one year and are renewable on approval by the Curator. Please read our complete EAP policies and contact us directly if you are interested in receiving a loan of specimens, data, or images.